iDatalink HRN-AR-CH2 Harness Connects a Maestro AR amplifier replacement module to select 2008-up Chrysler, Dodge, Jeep, and Ram vehicles Features: This iDatalink harness connects a Maestro AR amplifier replacement module to your Chrysler-built vehicle, so you can replace its factory amplifier with a more powerful aftermarket amp. without losing important features and functions. 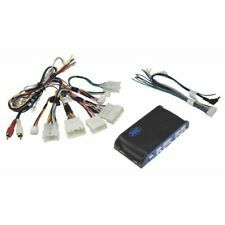 This T-harness connects to the factory amp's input harness, and supplies audio and databus signals to the Maestro AR module without any wire splicing T-harness for installing the Maestro AR or DSR1 into select Chrysler, Dodge, Fiat, Jeep and Ram vehicles. Plug N Play Harness forAX-ADDCAM interface. 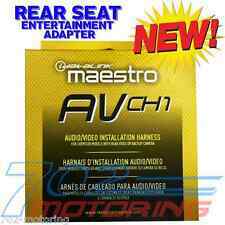 Speaker Harness for Select Chrysler/Dodge Vehicles. Plugs directly into harness. If the item you chose is more or less money we will work out the price difference with you. Quick and easy installation. Suitable models: fits for CHRYSLER 2001 / fits for JEEP 2002 . Avoid cutting the factory harness, so all connection are exactly right. All wiring harness includes power and speaker wires and each is labeled with its specific function. Product SKU: 154033 ID: lpcr25. Scosche LPCR25. 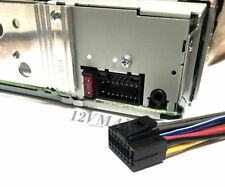 2013-Up Select Chrysler/Dodge/Jeep/Ram Link Interface with SWC and Amp System Retention. 2015-Up Ram ProMaster Base. For Base Vehicles Equipped UConnect 3.0 (3-Line Display). Plugs into OEM Radio. For select 1992-1999 Toyota vehicles. 15 Pin connector. GSXL wire provides more flexibility, power handling, and heat resistance. High impact, OEM Quality, ABS Plastic molded connectors.